Move over Scotch: mezcal is the new (old) craft spirit that you should be drinking, with centuries of heritage and explosive, complex flavors. Don't expect some frat boy’s rot-gut with a worm in it -- mezcal is so much more than that. Well, sometimes there's a worm. You've probably been hearing a lot about mezcal recently. It was the drink of choice for Daredevil femme fatale Elektra. Jon Taffer recently upset the entire bartending community (again) by declaring it was made from psychedelic mescaline. The New Yorker put out a deep-cut dive into its history while searching for the perfect take on it. Mezcal is everywhere. Most importantly: more and more often, it's in your glass. With the spirit booming, we sat down with experts and more than a few glasses of the good stuff to figure out what the hell makes it a drink we should all be getting extremely excited about. Then we drank more of it. Because we got excited. 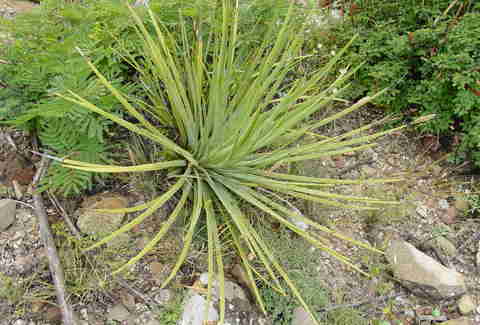 Mezcal, like tequila, is a spirit made from agave, a big spiky desert plant which, contrary to popular understanding, is not a cactus, but is closely related to a lily. It's definitely not mescaline, so you can save your Fear & Loathing quotes for a glass of Wild Turkey. While tequila is required to be made from blue agave, most (but not all) mezcal is made from a variety called espadin, and it must be made in a certain region in Mexico, the most well-known of which is Oaxaca. Not all mezcal is made this way, but the best is. This is the stuff that comes from smaller heritage farms, where each mezcal has been made its own way for generations. It's drunk to celebrate births and deaths, harvests and weddings. Point is, mezcal's been through a lot. It deserves your respect. It's often referred to as a smoky tequila, and there's some truth to this. But in many ways, mezcal is more like the North American equivalent of Scotch: varied, complex, expensive, and sophisticated. Mezcal varies from bottle to bottle -- there are some smokeless ones, and some very smoky ones. Most are strong, earthy, complex spirits that drink remarkably smooth, with minerality and a touch of sweetness. When you taste it, you taste the earth it comes from. You might find you love a mezcal from a particular village, or a particular type of agave. Mezcal has a rawness to it, a sort of primal quality. It's classy yet wild, rich but vivid. It's generally joven, or unaged, so it retains much of its initial qualities, and the wild yeast means that no two mezcals, even from the same batch, are the same. Also like Scotch, it's expensive. It's an inefficient way of making liquor (horse-drawn stone wheels! ), but there's beauty for it. There's no point in buying cheap mezcal; if you want to go nuts with agave spirits, just get cheap tequila. Monte Alban and its ilk aren't made the same way as the stuff made in villages. Taste those and you'll wonder what the fuss it about. Instead, grab a bottle from a label like Del Maguey. The founder, Ron Cooper, was an integral part of bringing mezcal into the US. He launched Del Maguey out of passion for the spirit and consideration of the farmers… hell, he didn't make a dime from it for 16 years. We're pretty sure he does now though: at $40, Del Maguey VIDA was designed to be an entry-level mezcal for consumers and bartenders, with a perfect balance of smoke, mineral, fruit, and earth (the four elements of mezcal). The Joven Espadin from Wahaka Mezcal is another great option, at a similar price point and similar balance to the VIDA. Like Del Maguey, Wahaka Mezcal honors the traditions and supports the labor of smaller Mexican palanques. From there, the path is open. You could stick to both of these brands and try the entire line, seeing the variety of villages and styles, or branch out to labels like Mezcal Vago or La Niña del Mezcal, or any of the many others. 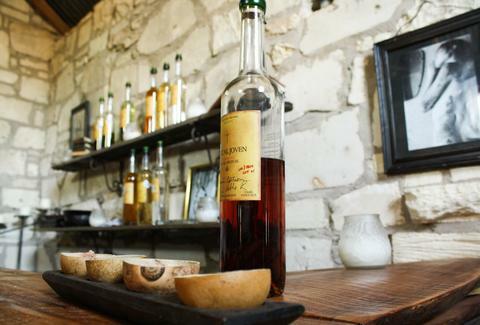 Find out whether you like your mezcal smoky or fruity, aged or unaged. Looking for something really weird and exciting? Try a pechuga, mezcal infused with fruit, nuts, and/or grains. During infusion an animal carcass is hung above the mezcal, generally a skinned chicken. The meat isn't directly infused in the mezcal, but does mellow the spirit when the steam passes through it. It's not for everyone (sorry, Paul McCartney), but it's a unique spirit, and you might just find you love it. Many bars that specialize in tequila are starting to stock mezcal, so if you're looking to try some and don't want to invest in a whole bottle, head to your nearest tequila bar or high-end Mexican restaurant to sample some. Maybe it'll even offer a flight, and you can try a gamut of styles. Mezcal is also starting to show up in cocktails. Because of the variety of styles and flavors of mezcal, it can stand in for different spirits: bartenders are substituting smokier mezcals for Scotch in drinks such as the Penicillin, and mineral-heavy mezcal in place of gin for a Negroni. More obviously, mezcal can replace tequila; next time you order a margarita, try one with mezcal instead. In Los Angeles? Try Gracias Madre, a "plant-based" bar and restaurant, all vegetarian (so no pechuga) with some killer mezcal-based drinks. New York: you should already be going to Leyenda, one of the most celebrated bars in the city. 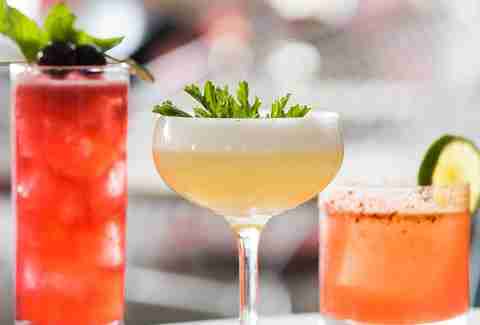 Ivy Mix mixes up the best rum, tequila, and mezcal drinks at this Latin American-themed Brooklyn bar. San Franciscans have plenty of options, but hitting up La Urbana for a mezcal Sazerac is a good bet. Just up north, Portlanders have Xico for an array of tequilas and mezcal, including an Oaxaca Old Fashioned. Down in Nashville is Pinewood Social, with a bowling alley, pool, and a number of mezcal-based drinks (try a mezcal mint julep here, it’s amazing), and Chicago has the fantastic Masa Azul with a variety of joven mezcal cócteles. In the end though -- whether you live in a hip booze city or are just seeking it out in a well-stocked liquor store or Mexican restaurant -- mezcal is probably best served neat; slowly sipped, it's as transcendent as single-malt Scotch or a Burgundy wine. It's worth the price, and worth supporting the makers and their culture. Salud. Alexander Frane is a freelancer for Thrillist.